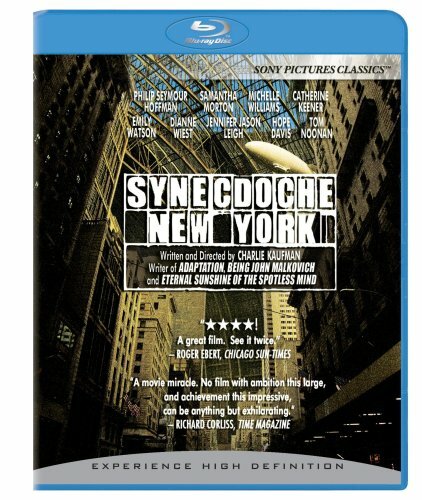 A Case For Greatness: SYNECDOCHE, NEW YORK | Birth.Movies.Death. Charlie Kaufman's directorial debut argues it's hard to achieve perfection in art when you're working with the messy building blocks of reality. There’s something exhilarating about getting something new out of a movie you think you’ve already sized up. Or even better, to change your opinion about it as it changes your perspective on the world. When I first watched Synecdoche, New York back in the winter of 2008, I couldn’t wait to turn it off, and I very aggressively did not want to talk about it afterward; even though I was a huge fan of Charlie Kaufman, Phillip Seymour Hoffman and virtually everyone involved, there was something in it that made me deeply unhappy, but more than that, I just found it profoundly unsettling in a way I could not qualify, and didn’t want to try. Nevertheless, it stuck with me and stayed in my mind, sporadically popping up over the next several months to remind me of its choices, and before long, I found myself sitting down to watch it for a second time. What I soon discovered was not just that Synecdoche is one of the best films of the new century, but it’s a profound, wry, moving, somehow misanthropic but deeply hopeful portrait of humanity that grafted itself onto my emotional and philosophical worldview and simply will not let go, even ten years later. A whole book could be written about the dense web of metaphors the film introduces through the character of Caden Cotard (Hoffman), a theater director who suffers from an ongoing series of ailments as he attempts to navigate both his personal and professional lives. Consumed by the negativity of the world, Caden move from one experience to the next as if it’s the same day, marked by one terrible discovery after another: he reads aloud each awful headline about death or disease or loss to his wife Adele (Catherine Keener) as their daughter Olive (Sadie Goldstein as a child, Robin Weigert as an adult) absorbs his neuroses and generates her own. Hazel (Samantha Morton), who works the box office at his theater, takes an unexpected liking to Caden, but she has to literally script their burgeoning flirtation, even after Adele leaves with Olive for Germany, never to be heard from again. Meanwhile, his devoted leading lady Claire (Michelle Williams) nurses her own crush on Caden, but he’s similarly too self-absorbed with his failing marriage, his play and his many unexplained - and unresolved - illnesses to take notice. Beginning with an empty hangar and a dedicated team of actors and stage hands, he begins to build conversations, moments, experiences, reconstructing the outside world even as he becomes insulated from the real one. He soon observes that the drama he seeks is the drama of real life - the subtext of conversations had every day - but it brings him no closer to understanding his own shortcomings, or to resolving the wreckage of his first marriage, and then a second to Claire, not to mention the alienation he feels from Olive, who has grown up knowing him only from Adele’s extraordinarily hurtful account. The performance piece grows ever bigger and more metatextual as he hires Sammy (Tom Noonan), a stand-in for himself, Tammy (Emily Watson), one for Hazel, and so on, directing “himself” directing others to recreate, exercise and deconstruct the conversations he’d had only days or even hours earlier. Time becomes even more elastic as the years pass and one relationship begets another, and Sammy falls for Hazel - a happier, healthier version of him connecting with the woman he loves - a catalyst for real drama on the set of the staged kind. Again, there are so many things going on in the film that it feels like you could focus on just one or two and still have plenty to talk about. But what’s really interesting dramatically is how the movie seems to deprive the audience of conventional payoffs - confrontations abbreviated, tragedies undercut, triumphs underplayed - while telling a story about the challenges of dramatization. In one scene, Caden’s latest replacement, Millicent (Dianne Wiest) takes over staging a funeral, and it unleashes what might seem like a powerful monologue from another film; here, however, it feels utterly phony, which is also why it seems to resonate so strongly with Hazel and the rest of Caden’s team as they watch it unfold. He spends decades just trying to understand motive and meaning in each of the thousands of vignettes he’s conceived, but Millicent’s focus gave it a purpose, and a clarity, that he either isn’t seeking or capable of finding. 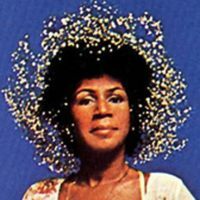 It’s a reminder of the way fiction works, sharpening real life experiences into digestible bites for joy or sadness or general reflection. Caden seeks understanding of himself, and is working that out through his craft, but that understanding will never come because there is never just one thing driving one choice or one thought; we’re a mass of our experiences, our background, our momentary impulses, and our stimuli, and that is not and will never be comprehensible or condensable in the way that scripted drama allows. In fact, the only real catharsis for Caden comes when he switches places with Millicent, she becomes him, and he becomes her. Giving him an earpiece through which he receives direction, Millicent clarifies and streamlines his choices, she explains the subtext of his circumstances, and instructs him on what to do (“look out the window”). He has now absorbed her motives, eliminating the indecision and uncertainty that has plagued him. He knows why Millicent’s husband does not care about her. He knows about the picnic she took with her mother as a child where she vowed to return 20 years later with her own daughter. The driving forces are all there where they’re absent in his own life - and it is a comfort, an overdue salve for a literal lifetime of pain - mostly self-inflicted, but pain nonetheless. I think that the fact I’m not sure in the moment whether to find this depressing or optimistic is one of the film’s great accomplishments; very seldom do movies telling personal stories manage to encompass so much and so many different kinds of experiences, especially internal ones. The instinct to overthink the world around you is a natural one, but the answers that come from that thinking are seldom satisfying or a relief. Perhaps it all comes down to the observation Alvy Singer makes of his first play in Annie Hall when he says, “you're always trying to get things to come out perfect in art because it's real difficult in life.” Kaufman is effectively suggesting that’s the only place where it’s possible to make things perfect, but he’s also saying that if you spend too much time seeking that insular and elusive perfection in one area of your life, there’s a good chance you’re missing a lot of great, imperfect but much more interesting opportunities and experiences in others. Or maybe I’m just paying too much attention to one part of the movie at the expense of all the rest. Either way, I can’t wait to go back and watch Synecdoche, New York again to see what else it has to say, because every viewing offers a new and completely different lesson about art, humanity and the complexities of the world around us.